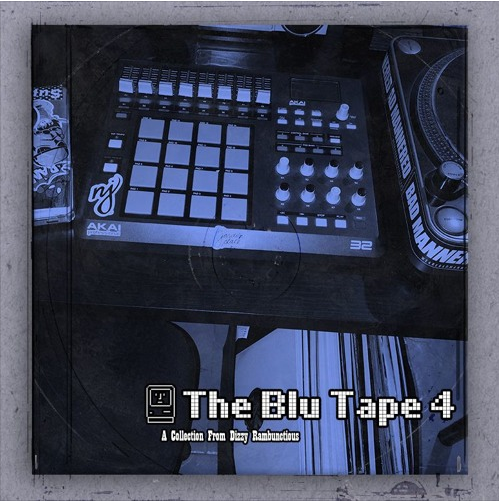 In the past, DIZZY RAMBUNCTIOUS has dropped a series of bluesy projects – and I have to say his latest EP, ‘The Blu Tape 4’ is the most diverse body of work that he has dished out. A laid-back, Massive Attack -esque number along with an equally laid-back boombap-ish killer (featured in ‘No Interludes’) and an upbeat and idyllic EDM delight were added the urbanised soulful jazzy vibe, featured in the previous blue tape collections. 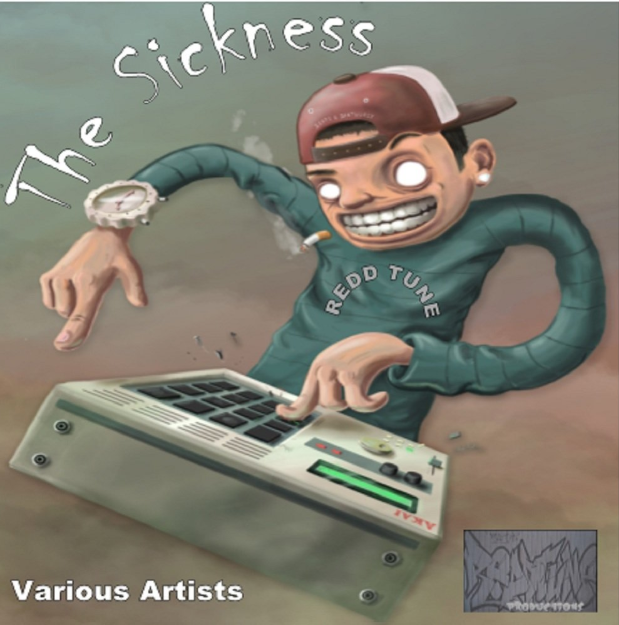 If you know of this New Jersey-based beatmaker, then you know he’s on a serious mission take a bluesy soulful combo to new heights…and if this is your first introduction of DIZZY RAMBUNCTIOUS, well this is the perfect opportunity to hop on the ride and sample his almost instrumental pieces below. Go on, hit that play button below…. Featuring yet another stellar lineup, ‘Poets Of The Dark Scrolls’ continues to delve into keeping Britcore alive, by bringing on the laid-back boom-bap vibe…and a few extras thrown in, which includes a boisterous, reggae-fused introduction, a guitar-drenched production plus a straight-up urban forceful drive that ends the set on a high. 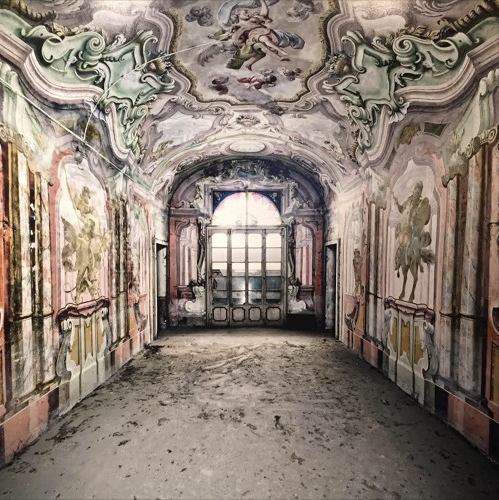 Although REDDTUNE remains loyal to his beloved subgenre of hip-hop, ‘Poet Of The Dark Scrolls’ sees London producer/rapper and his army of collaborators go at the deep end and really experiment with various genres that could potentially appeal to a wider audience. Worth taking a peek…sample and download the EP FOR FREE here. With loops of chill-out sounds that could be easily associated with Fila high tops (unlaced, of course), slick tracksuits complete with thick gold chains, this set pays homage to the real art of britcore and also expresses the concerns of the commercialisation of its parent – hip-hop – suppressing the realism of the sub-genre. But there’s no chance of that as REDD TUNES and featured artists on this EP, are on a mission to keep the britcore vibe alive. The Sickness EP is a strong reminder that music is an extension of one’s expression – and not a commodity. Must Listens: Kill The Alphabet, The Dopeness, Golden Era. After periods of recording from the bedroom of his Louisville apartment , Andrew Shockley -aka DELAFAYE – presents his latest EP ‘Highlands, released last month. The acoustic guitar and drums takes lead in ‘Part I’ and ‘She Shook Me,’ giving off a sultry soulful rock sensation, where the alternative rocker’s vocals lures between the arrangements. Further along the EP, a sweet harmonica makes a brief presence through third effort, ‘Tripping and Rolling’, adding a feather light folkore feel. ‘Highlands’ EP routes back and concludes with that real gritty soulful/rock combo along with the alluring vocals from the beginning. There are some potential favorites in this mini package – it was VERY hard to choose – so it’s over to you; have a listen to the EP and pick your favorites and say in the comment box. The mini project started off on a strong footing, with ‘Set it Off’ and ‘That One Love Song’. This young emcee knows how to slam down an electrifying flow against the chilled out, seriously head rolling bass. Going further along the EP, the flame created from the start, begins to extinguish. It’s a crying shame as the quality of the beats come heavily distorted which, unfortunately, drown out the upriser’s delivery. It’ll be great if UGLY SAVAJE mix it up with arrangements that’s fun and uplifting, perhaps fusing hip-hop with R&B or pop music. 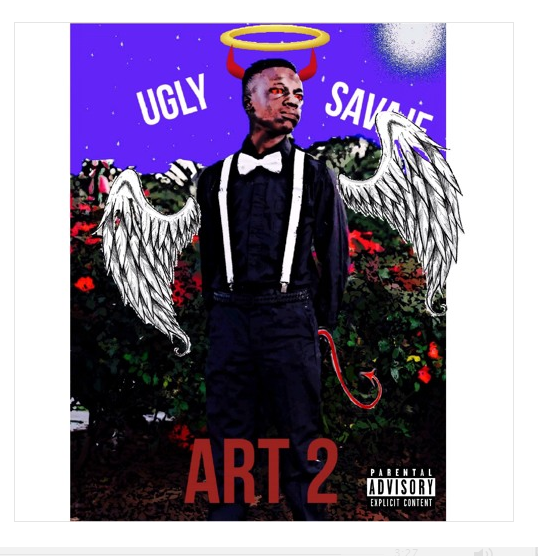 Personally, ‘Art 2’ doesn’t fully showcase UGLY SAVAJE as a creditable wordsmith, but with the right background tracks, he has the potential to be great.